You are married to a US Citizen for at least 3 years and have a green card OR you have been a resident for at least 5 years OR your parents are US Citizen, then you might apply for your American passport. (See also special categories). file Form N-400, Application for Naturalization. You have been a permanent resident for at least 5 years and meet all other eligibility requirements. You have been a permanent resident for 3 years or more and meet all eligibility requirements to file as a spouse of a U.S. citizen (see below). You may qualify through other paths to naturalization if you do not qualify through the paths described above. Note: You may already be a U.S. citizen and not need to apply for naturalization if your biological or adoptive parent(s) became a U.S. citizen before you reached the age of 18. The spouse of a U.S. citizen who resides in the United States may be eligible for naturalization on the basis of his or her marriage. See INA 319(a). See 8 CFR 319.1.The spouse must have continuously resided in the United States after becoming an LPR for at least three years immediately preceding the date of filing the naturalization application and must have lived in marital union with his or her citizen spouse for at least those three years. Age 18 or older at the time of filing. LPR at the time of filing the naturalization application. Continue to be the spouse of the U.S. citizen up until the time the applicant takes the Oath of Allegiance. Living in marital union with the citizen spouse for at least three years preceding the time of filing the naturalization application (the citizen spouse must have been a U.S. citizen for those three years). Continuous residence in the United States as an LPR for at least three years immediately preceding the date of filing the application and up to the time of naturalization. Physically present in the United States for at least 18 months (548 days) out of the three years immediately preceding the date of filing the application. Living within the state or USCIS district with jurisdiction over the applicant’s place of residence for at least three months prior to the date of filing. Demonstrate an understanding of the English language, including an ability to read, write, and speak words in ordinary usage. Demonstrate a knowledge and understanding of the fundamentals of the history and principles and form of government of the United States (civics). Demonstrate good moral character for at least three years prior to filing the application until the time of naturalization. Attachment to the principles of the U.S. Constitution and well-disposed to the good order and happiness of the United States during all relevant periods under the law. 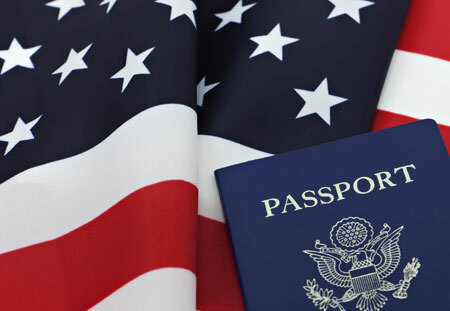 The spouse of a U.S. citizen residing in the United States may also naturalize under the general naturalization provisions for applicants who have been LPRs for at least five years. See INA 316(a). See Part D, General Naturalization Requirements [12 USCIS-PM D]. In addition, in some instances the spouse of a member of the U.S. armed forces applying pursuant to INA 319(a) or INA 316(a) may be eligible for any naturalization proceeding abroad, to include interviews, filings, oaths, ceremonies, or other proceedings relating to naturalization. See Part I, Military Members and their Families, Chapter 9, Spouses, Children, and Surviving Family Benefits [12 USCIS-PM I.9].There are also exceptions to the above listed requirements.